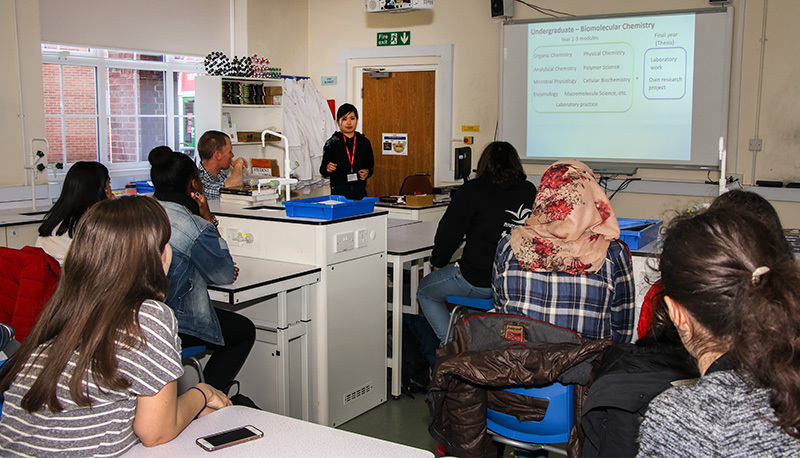 Akiko Sato, a PhD student in the Serpell Research Group at the of Kent visits BHASVIC to speak to chemistry/biology students about her work on the biochemistry of DNA, and how it links back to A-level concepts in these subjects. In particular, her talk focused on supramolecular chemistry including intermolecular forces and organic chemistry, which are central to the theory behind her research work. Prior to her PhD, she has worked across Europe in various scientific fields and holds a Master’s Degree in Scientific Communication.